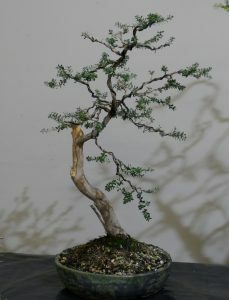 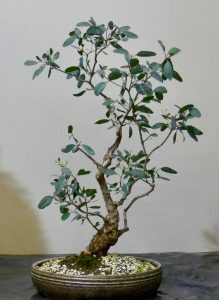 The Club’s May Meeting, with Hugh Grant as the guest presenter, was a quite outstanding night for members, with an excellent demonstration and discussion by Hugh, a great range of trees on display, including several which had been developed in a workshop with Hugh on the previous weekend. 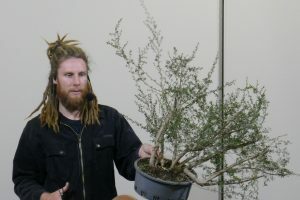 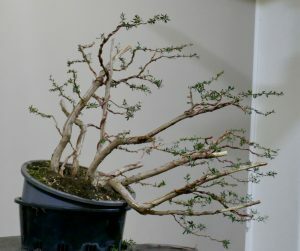 Hugh used a locally-collected Kunzea ericoides, or Burgan, which had been dug in 2017, to demonstrate the development of a multi-trunk tree. 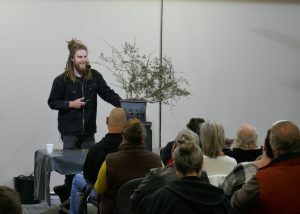 The presentation included extensive discussion of the basics of decision-making in working with this type of plant material, and demonstrated how we can work with the particular characteristics of a particular species, while still approaching each tree as an individual. 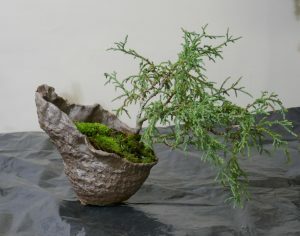 Hugh provided a fascinating range of thinking process, including especially using art and design principles together to suggest the effects of all of the influences of age, species and environment, without just attempting to give the appearance of an “old tree”. 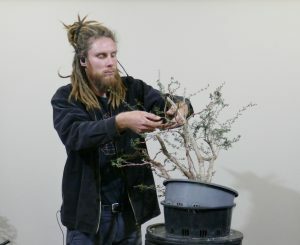 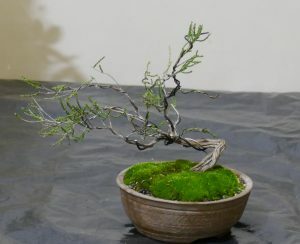 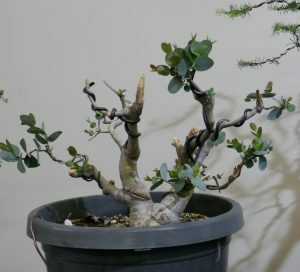 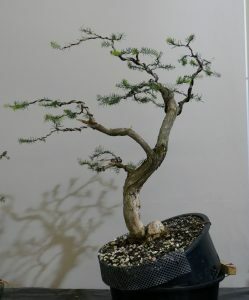 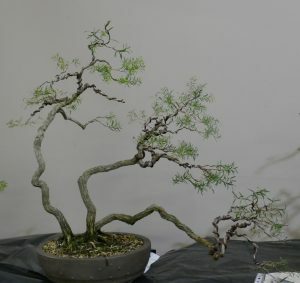 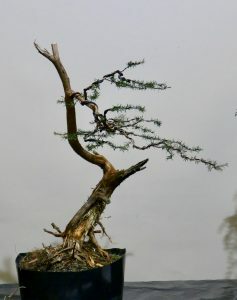 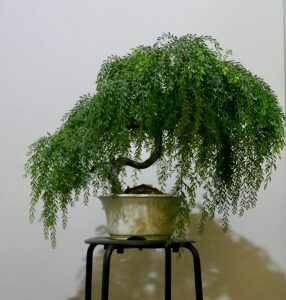 This was a fascinating demonstration night, and combined with his specialist input to workshops with club members, Hugh’s artistry and skills were highly appreciated by the members of the Victorian Native Bonsai Club. 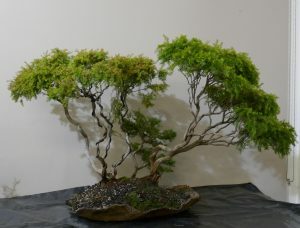 Trees on the display table which had come from workshops with Hugh included the following.